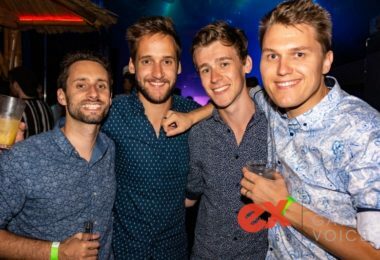 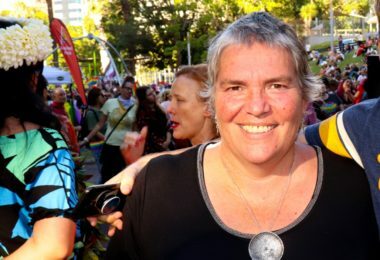 New Zealand Herald columnist Rachel Stewart has likened a white couple claiming to be black to transgender women. 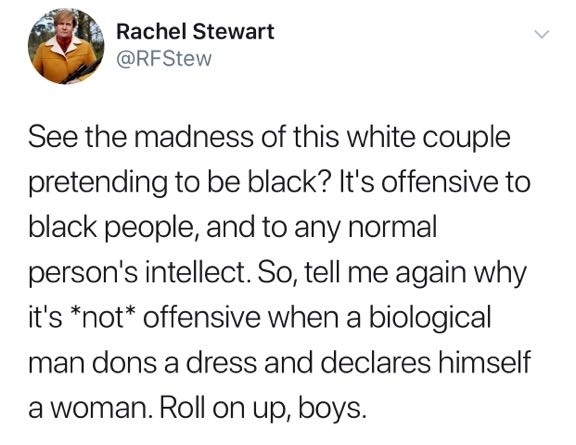 Rachel Stewart tweeted about the controversial couple who despite being white ‘identify as black.’ And compared them to Transgender women. 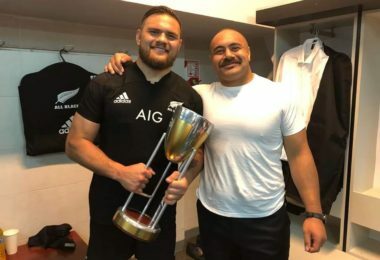 Big told the hosts that not only has she noticed physical changes since taking the injections, but she also claimed a doctor said she’ll be able to conceive black children. 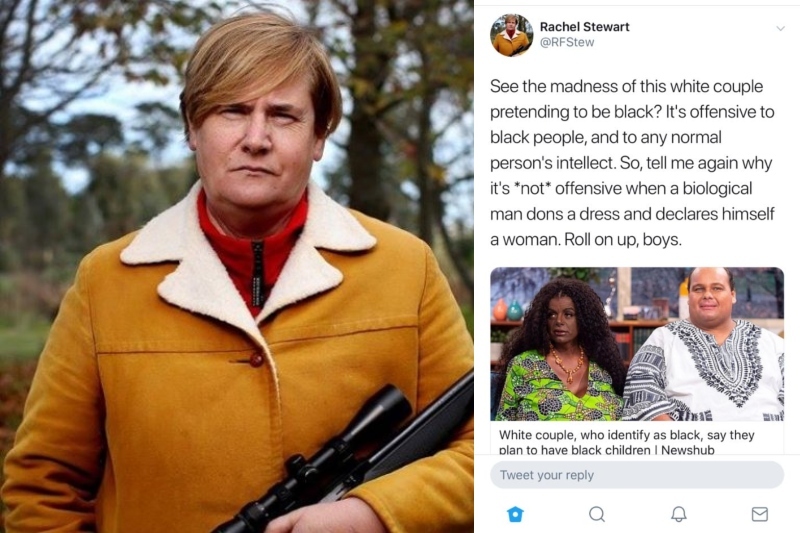 Stewart tweeted a link to the story asking, “See the madness of this white couple pretending to be black? 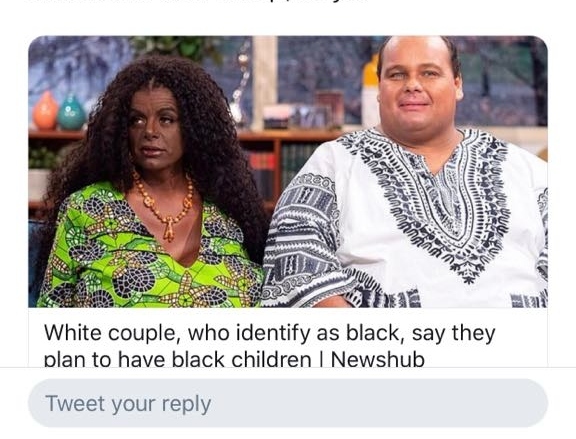 Image of ‘blackface’ white couple claiming to be black. 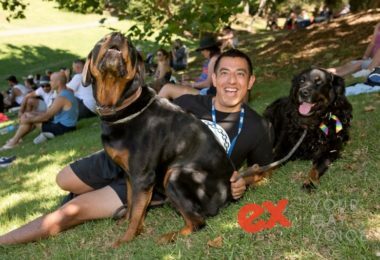 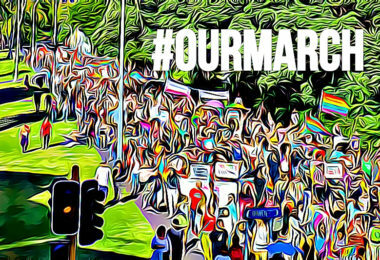 Late last year, Stewart was labelled ‘transphobic’ after writing an opinion piece in the NZ Herald where she criticised Louisa Wall’s speech at an Auckland Pride hui, where Wall stated she hoped Trans Exclusionary Radical Feminists (TERFs) would not turn up to the Pride parade.